Holidays are often a time of great joy, but they can also be a time of great stress, which can be increased by trying to keep your celebration zero-waste with other people who may not share the same concerns you do. If this is the case for you, you aren’t alone. I’ve put together a few simple tips that can help you survive and enjoy the holiday season waste free. But before you read any of the tips on how to reduce your own waste this holiday season, try to remember that you can’t control the way others choose to celebrate, and this includes how much waste they produce. This can be the hardest part of any celebration. You see all your family and friends using single use plastic cups or straws and all you want to do is tell them all the reasons those are so bad for the environment. Leading by example can be a much more powerful force of change than simply trying to convince someone that what they are doing is wrong. So instead of trying to make sure everyone is having a waste free day, simply make sure your choices are zero-waste and help others see how easy it can be to lead a sustainable lifestyle. Ok, now onto the tips! Large meals are often an integral part of the holiday season, which can come at a wasteful price. Luckily there are some ways that you can limit the amount of waste hitting the landfill. Buy locally sourced, unpackaged food. This might seem like it will create a lot of extra food prep, but in reality many holiday favorites like stuffing or steamed veggies, are simple to make without the prepacked stuff. Just search online for simple holiday recipes and you will find a ton of options. Often it is impossible to buy unpackaged meats, though some people have had luck bringing their own container to a local butcher or deli counter at a grocery store. If you don’t have access to a store that sells unpackaged meat, but meat is a non-negotiable part of your day, as it is for many, opt for something humanely raised, free-range, and from a small, local farm that has organic and sustainable practices. Not only will this taste better than a factory farmed animal, but it’s better for the environment. But don’t just take the label’s word for it, research where you are buying from and who that money is going to. And if at all possible, visit the farm before buying anything. It may still come in plastic, but at least you’ll know you supported your values in other ways. If you are going to someone else’s home for the holidays, bring some zero-waste side dishes in glass or metal containers. If you aren’t sure what the host will have in the form of zero-waste snack or drink options it can be helpful to bring an unpackaged version of your holiday favorites. Just make sure you bring enough to share. If you are eating at someone else’s house and they are only offering single use plates and silverware there is sometimes nothing you can do. If you are comfortable enough with them, you can ask if they have any resuable plates or cutlery for you. If this isn’t an option, try bringing your own plates and cutlery and stash them in a bag just in case. Bring containers for left overs. I know at my family gatherings that once the meal is done the left overs often get divvied up and sent home with everyone. This can mean plastic plates covered in plastic wrap, or you can come prepared and bring your own take away dish. 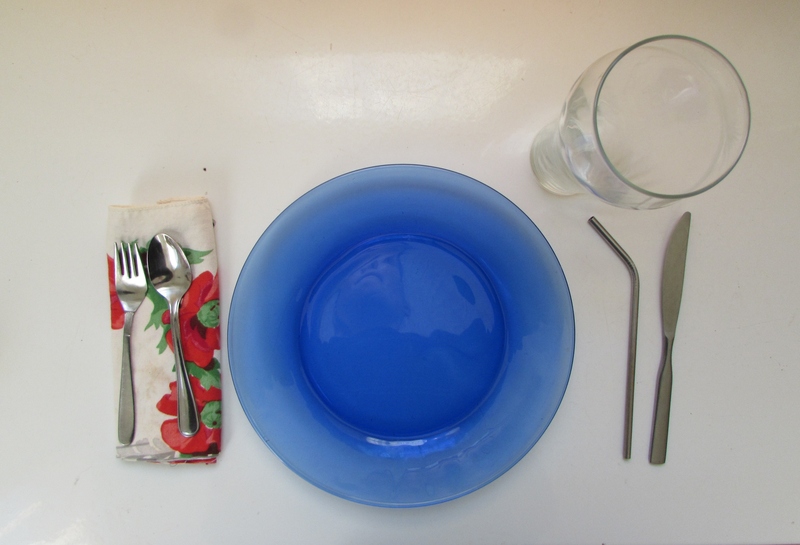 Talking to your host about not using single use items can be tricky, so don’t force it on them and if they’ve already got a plate ready to send home with you don’t feel bad. It happens. The more often people see that you’re serious about not creating unnecessary waste, the easier it will be for you to bring up the topic. If you are giving presents this holiday season, you don’t have to give up wrapping your presents, just swap out that single use wrapping paper for a more sustainable alternative. For example, try using fabric. This is a great alternative because there is no waste to dispose of when you are done. Plus you can incorporate the fabric as part of the gift. Or you can simply cut pieces of fabric, wrap your presents and secure the wrapping using safety pins or string. Once the presents are unwrapped you can collect it like you would used wrapping paper, but instead of throwing it out, you can simply store it away for next year! If you don’t have lots of extra fabric, try using newspaper instead. While it’s still going to be disposed of after the presents are unwrapped, newspaper can be recycled. Plus, you probably already have a couple lying around your house so there’s no need to go out and buy a new product. 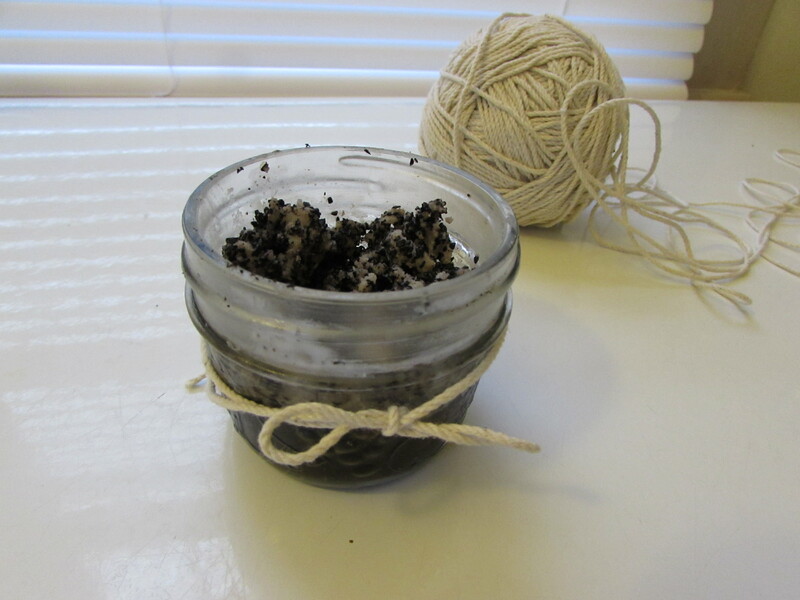 Instead of using tape to secure it, try using twine or yarn. Or if you’re not into wrapping presents, simply use a bag as the wrapping instead. The bag can either become part of the gift, or let everyone know in advance that you would like the bags returned. Gift giving is often a large part of the holidays for many families, and it can be hard to stay zero-waste when buying someone a present. While it may be impossible for you to stay completely waste free, while still giving out the kind of gifts your family and friends want, there are some tips that can make shopping easier. Start early and shop second hand. I actually look for gifts all year round and just store them away until a birthday or holiday comes up. Look for toys made using recycled materials. Finding sustainable gifts for adults can be hard enough, but add in buying gifts for kids and it can seem impossible. So, before you give in to the world of new toys, look for recycled versions first. There are often great local crafts people and near the holidays you can often find them all in one place; at a craft fair. So hit up those local holiday bazaars and craft fairs before you check out the big chain stores. This can seem daunting, but when in doubt I knit a hat or make a body scrub that can be used in the shower. 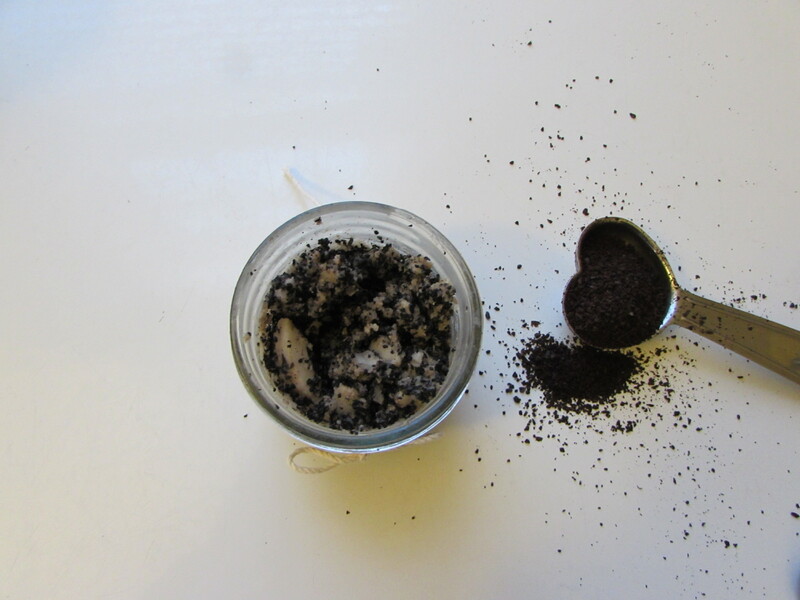 A really simple one uses 3 Tablespoons coffee grounds (used ones work well), 2 Tablespoons coconut oil, and 1 Tablespoon sugar (the larger the sugar granules, the more exfoliating power). Make it in a mason jar, and tie a bow made from twine on it, and you’ve got an adorable and easy gift. 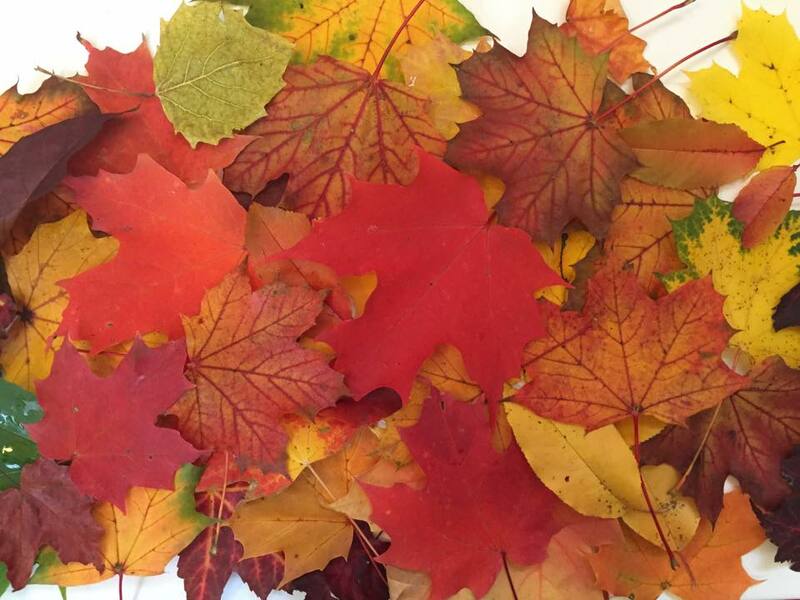 Putting up decorations is often the first thing that people do once the cold weather hits, but these are often items that end up in landfills. One option is to forgo the decorating all together and just enjoy the natural beauty around you. Decorate your house using natural items like branches, pine cones and seasonal fruits. This way when it’s time to dispose of them, you can throw it all into the compost or just leave it outside. There are tons of projects to be done using natural ingredients, a simple google search can help you get started. There are lots of craft projects out there that can teach you how to make your own decorations from garland to centerpeices for your table. If you aren’t into crafting or you just don’t have time, try hitting up some secondhand stores. They often have lots of holiday items for sale, especially Christmas decor, and the prices are usually much cheaper than buying new. And as an added bonus, you can find some really cool vintage pieces at thrift stores, like the glass ornaments in the photo below. 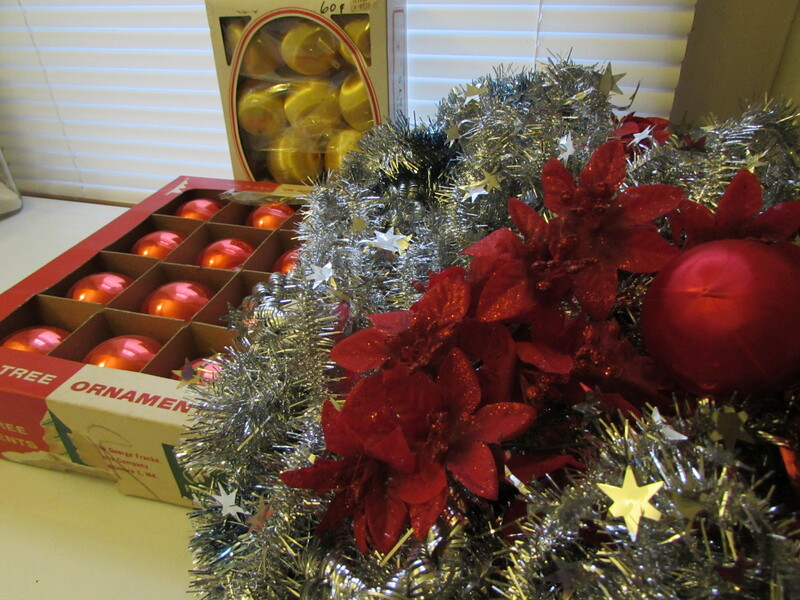 Donate your unwanted decorations instead of throwing them out when the season is over. For more zero-waste decorating ideas you can check out my Pinterest account: livingwastefree. If you have any zero-waste holiday tips or tricks let me know by either leaving a comment or emailing me at livingwastefree@gmail.com.